This is our first newsletter for the year and we hope that you have a little bit of time to grab a glass of wine, chocolate or a coffee (even if it’s on almond or rice milk for those breastfeeding little ones with cows milk allergies!) to have a read. I would like to extend a huge welcome to our new RISA members!! We have around 12 members joining us each month and hope that we can provide you with support, information and reassurance to help make your reflux roller coaster a little bit easier. We hope that 2014 finds you and your refluxer’s well and getting some sleep! It is with very sad hearts that we share with you of the passing of Wayne Blanch, taken too early from his beautiful wife Glenda and their three children. Glenda has been the heart of this organisation for years and they both have helped countless parents through RISA work, friendships & her authorship of Reflux Reality. If you would like to contribute with other RISA members providing condolences to the family, please go here. RISA Inc. was lucky enough to receive a $300 grant through Grill’d Local Matters application process and so we are doing a mass mailout across Australia. We are using this grant to cover the cost of postage to send RISA Inc. brochures to 100 health centres in each state/territory of Australia! So 7000 copies of our brochure will hopefully find their way to parents of refluxers across Australia! If you have a local Grill’d store and would like to submit an application on behalf of RISA Inc. please contact us at [email protected] and we can help walk you through the application process (quite easy and quick!). One of our wonderful RISA Volunteers, Carly, worked tirelessly on preparing a submission to the Senate Inquiry on Speech Pathology Services on behalf of RISA Inc. A huge thank you to Carly and our RISA members who contributed their story to this submission. Speech pathology services are essential to many of the children whose parents we support as significant feeding problems, often due to reflux, can lead to feeding aversions (fear of eating) and severe feed refusal, even in very young babies. More information on feed refusal can be found in our article Reflux and Feeding Issues. We are updating our forums and apologise if you have experienced any difficulties logging on to the forums in recent weeks. Our forum website was very outdated and members have reported difficulty being able to access via smart phones or tablets, so we are very excited that we can update these and continue to support all of our RISA members. We currently have around 450 members nation wide which is wonderful that we are able to provide support and information to so many families. As you all know we held a very successful and well attended conference Infant GORD and its complications to provide information to health professionals in 2013 in Brisbane, Qld. (The presentations from this conference are available to purchase here). RISA Inc. will hold another conference in 2015 in Sydney, NSW. Further details will be provided in our upcoming newsletters. If you wish to help us in planning the conference, please contact us at [email protected] It was a mammoth task planning and holding last year’s conference, but the benefits for RISA Inc. and for parents of refluxers across Australia, from this conference are ongoing and invaluable! I particularly found it wonderful to be able to talk with some of the Child Health Nurses who attended following the conference and their positive feedback made every hour I spent on the conference so worthwhile!! 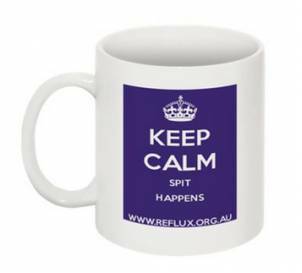 We have a member in regional Australia whose little girl’s life is being regularly threatened by uncontrolled, extremely severe reflux causing awful respiratory events. The family have an extreme history of reflux with five members of the family requiring surgery. There are no paediatric gastroenterologists in Tasmania and no one on the local medical team understands the implications of severe reflux. Many of our RISA members have contributed and offered messages of support to this family, so a HUGE thankyou to the wonderful RISA community! For more info or to contribute to helping this RISA member to get help interstate (in Brisbane where the grandmother lives) please go here. Just a reminder that RISA tries to co-ordinate local catch ups around the country. If you’re interested in being involved or co-ordinating a local group, please email [email protected] or just post your upcoming event on our private Facebook page to see if there are any other local members near you to see if anyone else is keen for a catchup! Some of our Sydney RISA members had a morning tea get together recently at Hays Paddock in Kew. This month’s issue of the RISA Newsletter brings you a few more parents stories, an article on Proton Pump Inhibitors, one on Allergy and Intolerance, toddler meal and snack ideas for restricted diets, an article on Tube Feeding, the gorgeous winner of our Christmas photo competition, notice of our June AGM, Cashew Cream Cheese Recipe (warning addictive!!) and much more. We also have some lovely news to share with you all! Our wonderful President Jo has added a third girl to her family, beautiful Elizabeth! A little sister for Charlotte (3 yrs) and Marissa (10 yrs,) arrived on 5 March 2014 and both she and Mum are doing well! Notice of our 2014 AGM, positions to be filled, position descriptions, our meeting schedule and our administrative email group. At RISA Inc. all of our volunteers are reflux parents, and this is why we are all so passionate about RISA; with the ultimate aim of helping and advocating for families. If you think you may be in a position to help out (it can be just an hour of your time a week/fortnight) and can be as simple as sending a supportive email or becoming one of RISA’s Facebook Co-ordinators and then you have an excuse to be on Facebook!!! Please email us or go here to check out how to volunteer and take a squiz at our training manuals or have a look at the RISA volunteer positions here to see if anything interests you and then come along to our AGM on Tuesday 3 June 2014.
purchase a copy of Reflux Reality or one of our limited edition RISA mugs for yourself, a friend or even your local GP or Child Health Nurse as a thank you!